Published February 7, 2018 at 748 × 645 in WALK 47 : SCOTLAND: FROM TARBERT TO CAMPBELTOWN & THE MULL OF KINTYRE, AND BACK TO TARBERT. View from the top. 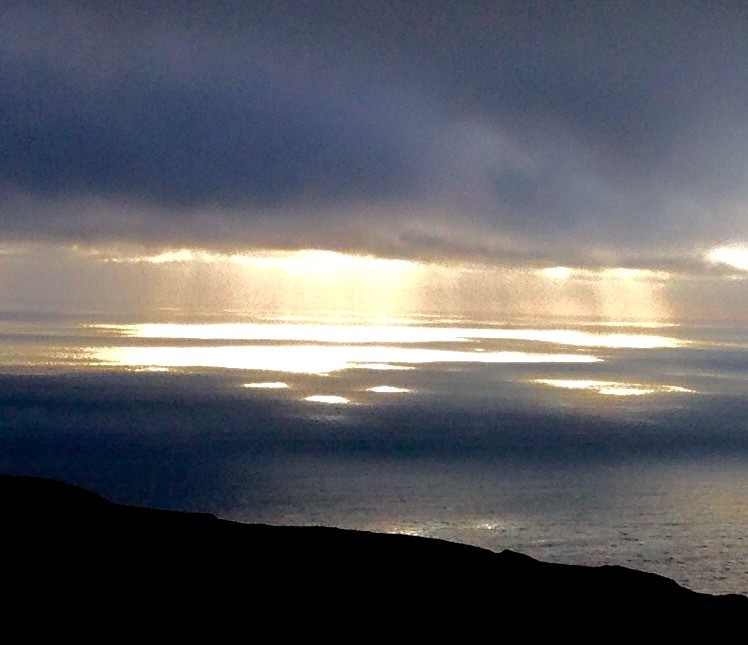 Light on the sea from the top of the Mull.